Whatever the outcome of the current debate on legalizing recreational marijuana in Connecticut, we need to know more about marijuana’s overall effect on the brain and what might constitute “impaired driving” when it comes to cannabis-using drivers. Let’s face it: Legal pot customers already are heading south on the highway from Massachusetts, so even without a change in Connecticut, policy makers and law-enforcement officials need guidance locally and across the nation need guidance. That’s where the Hartford HealthCare Behavioral Health Network’s Institute of Living (IOL) comes in. The federal government has turned to the IOL’s Olin Neuropsychiatry Research Center and is funding two studies to explore the influence of marijuana on drivers, and another examining the impact on memory in people ages 18-22. The first project, a five-year study requested by the National Institute on Drug Abuse, is being led by Dr. Michael Stevens and me. It is focusing on the impact that marijuana has on the brain’s cognitive and motor functions while driving a motor vehicle. Volunteers are given a controlled amount of marijuana and then asked to interact with a video simulation that gauges their ability to drive. The second study was requested by the National Highway and Traffic Administration to determine the best way to test a driver to see if they have been using marijuana and if it has caused them to be impaired. Various tests are being devised, with the goal of helping police officers test drivers in traffic stops. In addition, Dr. Alecia Dager is leading the Marijuana Memory Study, which focuses on young adults, some of whom are heavy marijuana users and some of whom don’t use the drug. This clinical trial has been ongoing for nearly five years, well before the latest legalization trend. So whatever happens in Connecticut, these studies will be crucial to understand the impact of a drug that isn’t going away anytime soon. 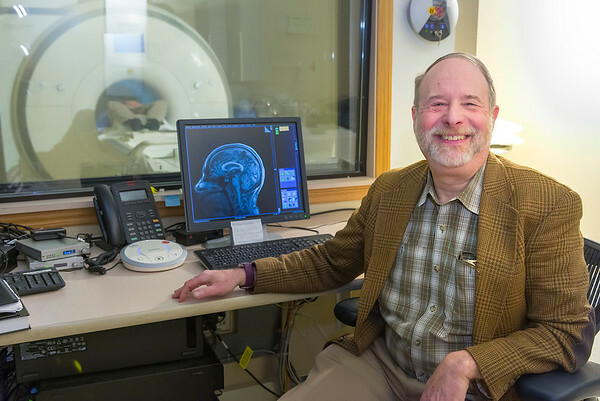 Dr. Godfrey Pearlson is director of the Olin Neuropsychiatry Research Center at the Institute of Living. Posted in New Britain Herald, General News on Monday, 15 April 2019 19:05. Updated: Monday, 15 April 2019 19:07.